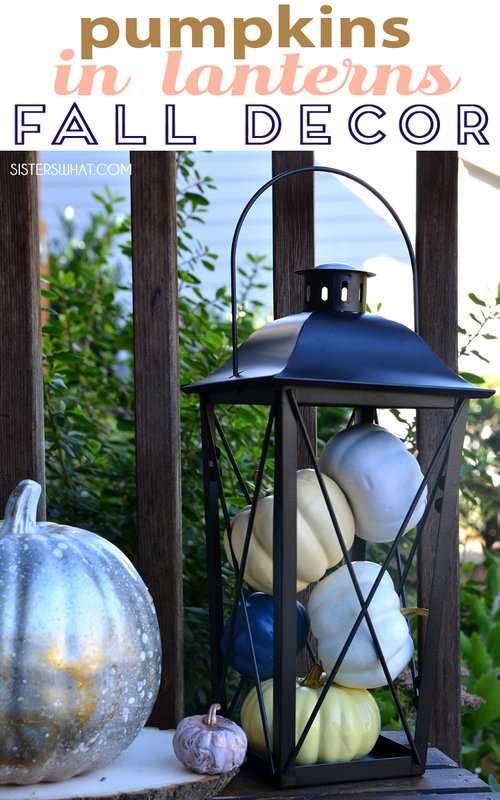 ' Marble Pumpkins Decorations Lanterns and Fall Front Porch Decoration - Sisters, What! 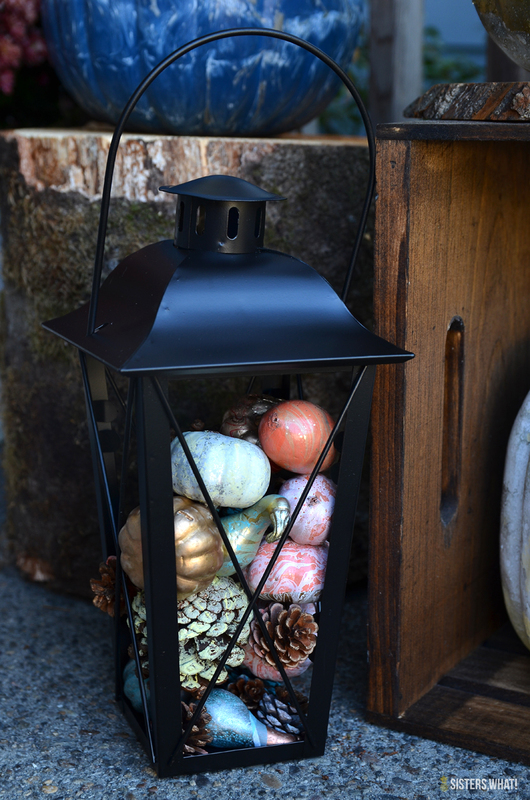 Fall is a wonderful time of year full of pumpkins and crisp air. 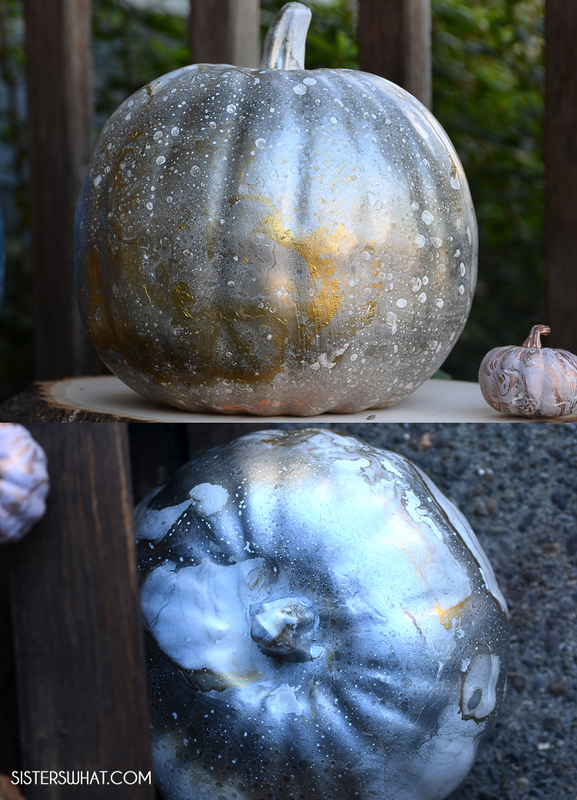 These DIY marble pumpkin designs are perfect for Autumn to use inside or outside as front porch decoration. They are can be customize to any color. 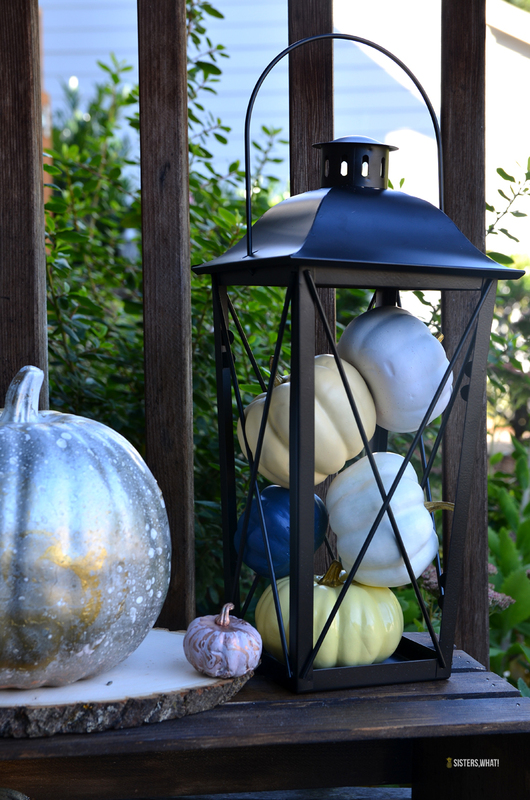 Thanks to Oriental Trading for supplying a few of these fun Fall Decoration Items. I love fall. 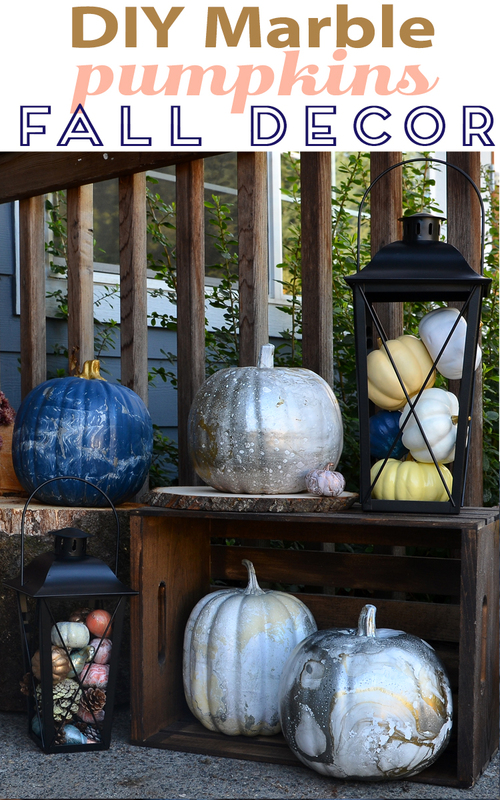 The change of weather from hot to crisp and warm air, the changing leaves, but I especially love pumpkin decorations and pumpkin deserts. 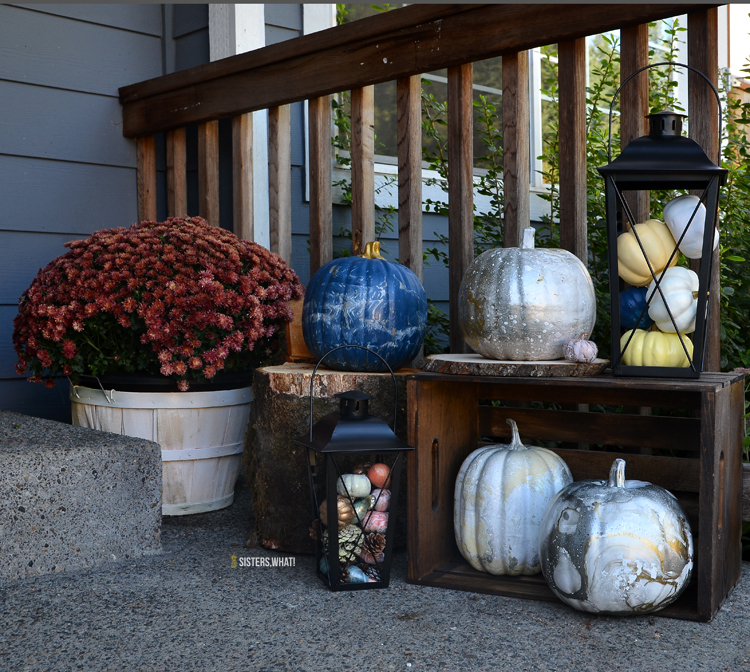 As soon as September hits, I start scouting out the local thrift and dollar stores for fake pumpkins to make over. 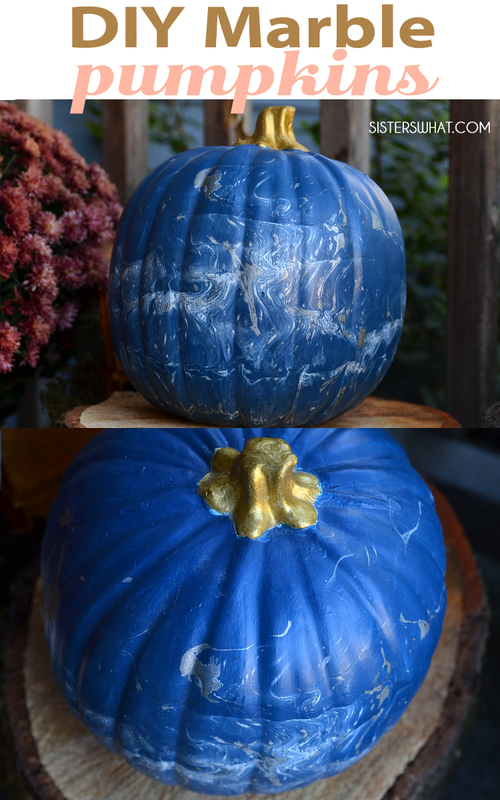 Go HERE for to see my marbelizing pumpkin tutorial from last year. 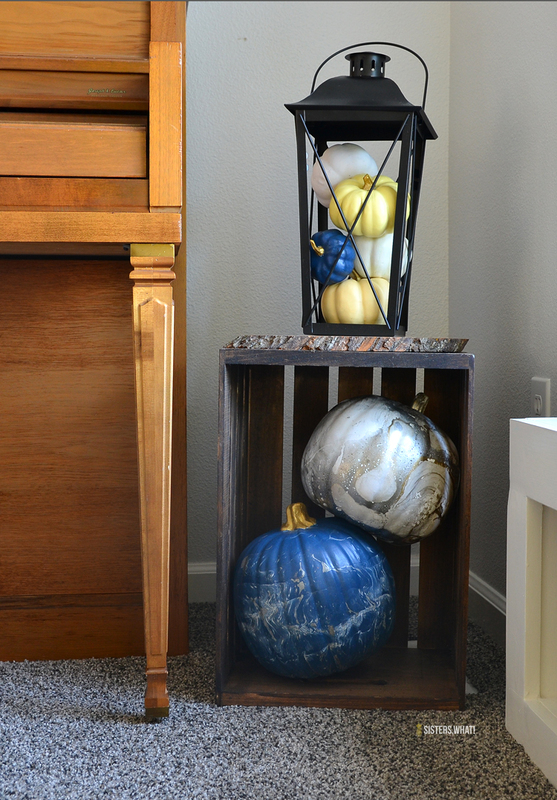 We have more pumpkin decorations than any other type of fall decor. But I don't care because I love it. My kids wish we had more scary stuff, but I just don't do scary. But I did compromise with silhouettes of bats on our walls; those don't seem so scary. 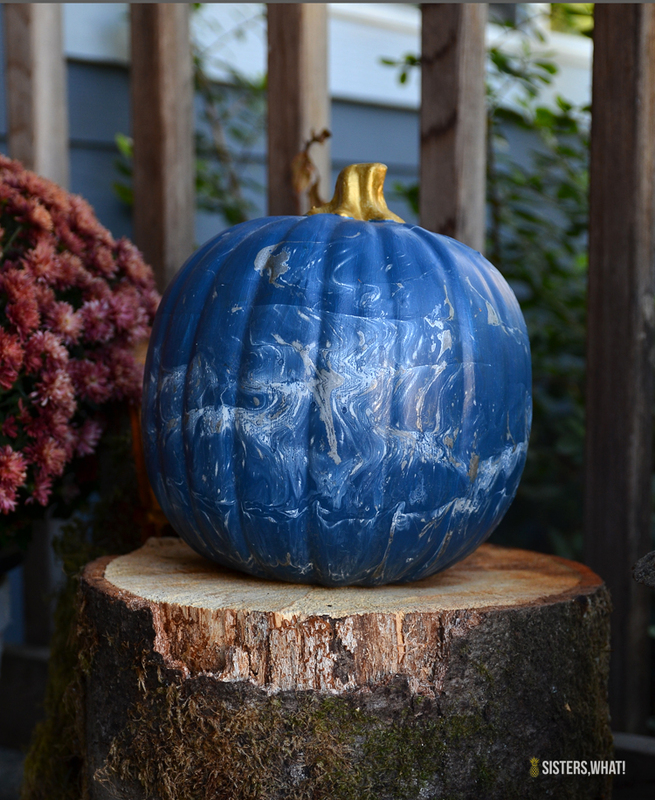 I tested out my pumpkins on the porch and they were fun, but then after I took pictures of them, I tried them out by the piano and I liked having them where I could see them more so there they still are. 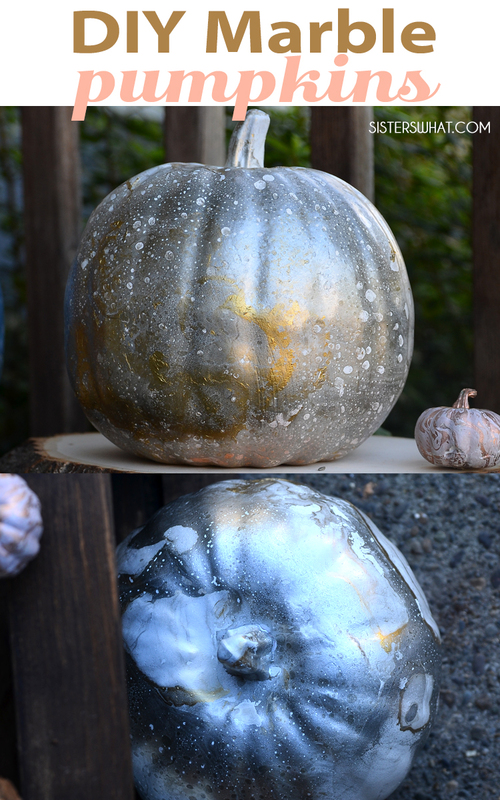 Spray paint the base of your pumpkin in your solid color of choice. I chose blue and white. Let dry completely. Fill large bucket with water (smaller bucket for smaller pumpkins). Quickly spray your contrasting spray paint in water and swirl with paint stick. 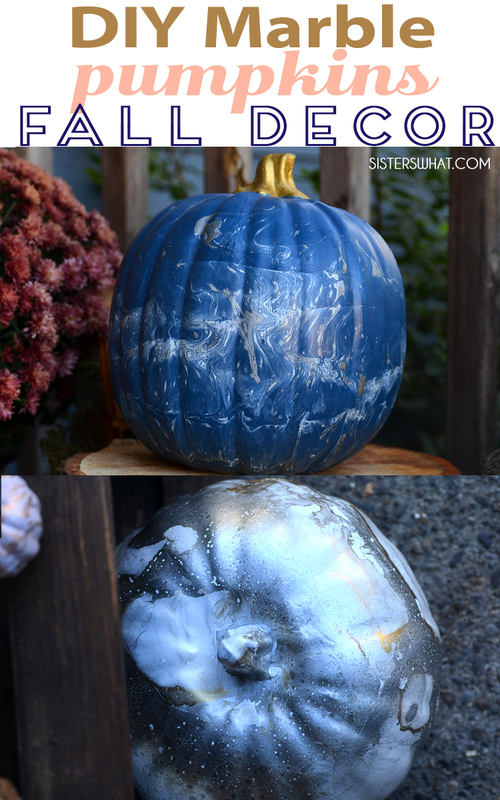 Then quickly dip your pumpkin into the swirls and pull out.